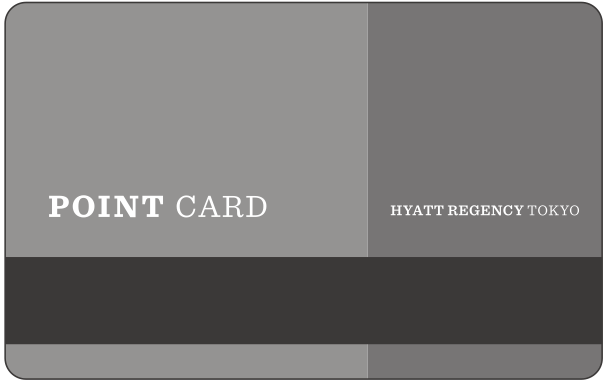 Of course, as does every Hyatt hotel in the world, the Hyatt Regency Tokyo participates in the Hyatt Gold Passport loyalty program. But did you know that they also have their very own, completely separate loyalty program? Well, they do, and it’s called the Hyatt Regency Tokyo Point Card. Brought to you by the people that named their newest eating and drinking establishment “Lounge“. 2. Receive 2 points for every 100 yen spent at Joule Spa & Wellness, the spa within the hotel. 1. Each point is worth one yen of payment for hotel stay, at hotel bar, restaurant, spa, and pastry shop. 2. With enough points, you can buy certain hotel gift certificates. These range from lunch and dessert at hotel Caffe for 2,800 points, to one free night in a suite for 63,000 points. 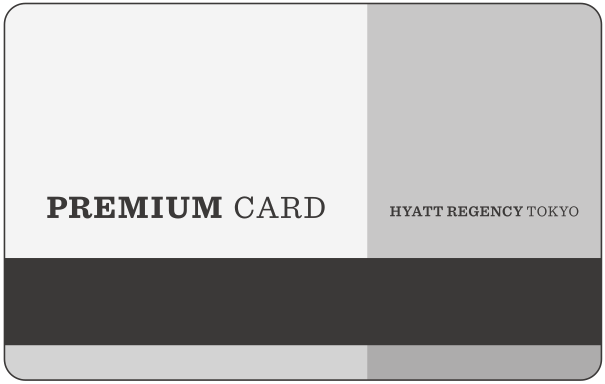 The good news is that, once you earn 25,000 lifetime member points, you are upgraded to the Hyatt Regency Tokyo Premium Card! You can tell that it’s premium because it has the word “PREMIUM” on it. One more thing to note: unused points expire two years from the date of earning. 2. If you spend over 500,000 yen at restaurants, you’ll get double that, free parking, and you’ll have earned almost enough points to consummate your marriage in an Atrium Suite. If all of that doesn’t convince you to enroll, then here’s the clincher: you will have one of the most exclusive, coolest looking cards in the world. Show this card off, and you can have any guy or gal in the world that you want. Just don’t marry them until you earn the Premium Card.